The following are satires. These are posted here with kind permission from So What's News. So, What’s News? is a satirical & fictional news website. It is NOT REAL. Our aim is to inject humor into everyday news and to provide respite to readers who have grown weary with mainstream news organization’s partisan, biased and depressing way of presenting the news. MANILA, Philippines — Just as the school year is about to end, the Department of Education (DEPED) has announced the additional subjects that students will need to take for the K+12 program which will add two more school years for high school students, starting this June. 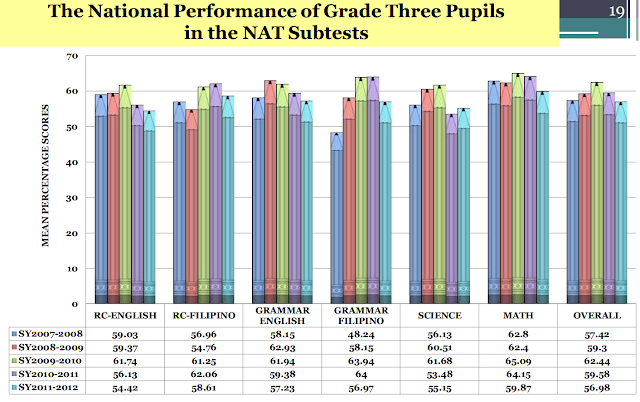 DEPED was alarmed by the high drop-out rate in schools and because of poverty, only 5 out of 10 first graders finish high school and out of 5 high school graduates, only 2 enter college. 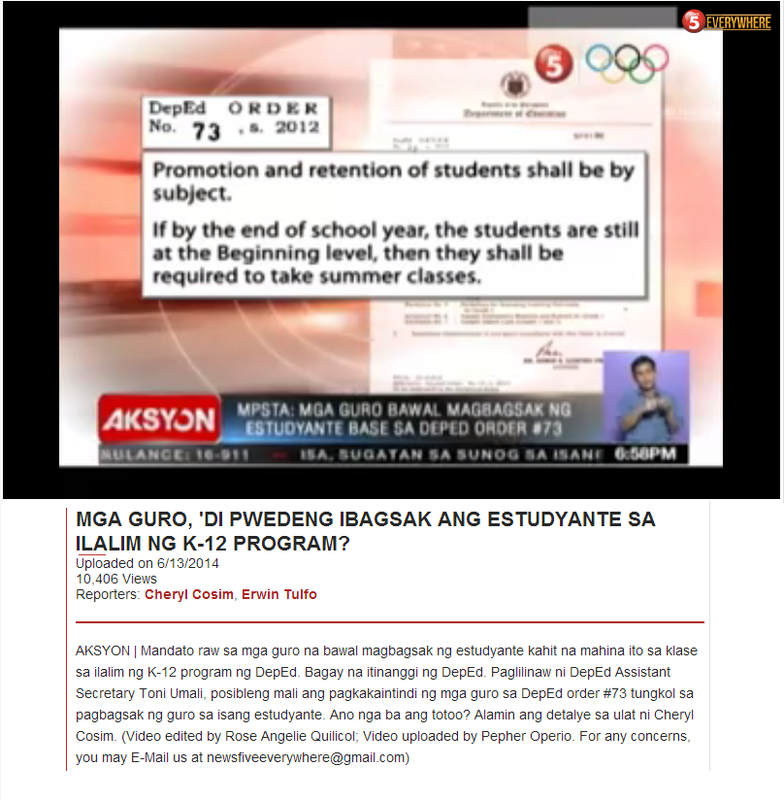 To address the problem, DepEd is adding 2 more years in high school. Botany – Etnobotany — This subject is designed to introduce students to the origins of many of the plants and plant products that are an important part of everyday life, and the ways that the development of different cultures has been influenced by plants throughout history. Accounting 101 —This subject is designed to provide the student with an understanding of the basic fundamentals of accounting, emphasizing the nature and purpose of financial statements. Philippine Law Juan on Juan — This subject is designed to introduce students to basic laws and punishment when violated including littering, jaywalking, counter-flowing, pick-pocketing, bribery, vandalism, dangerous drugs, estafa and libel, among others. Basic Driving: Colors and What They Mean — This subject is designed to teach students basic skills in driving, with major emphasis to colors of traffic lights and what they mean. 90% of the subject would be focused on explaining the color RED and its significance on the road. Basic Math – Revisited — This subject is designed to refresh the student’s knowledge with regards to counting in case they have forgotten them or returned them to their teachers. DOTA and Me — This subject is designed to hone the skills of Defense of the Ancients (DOTA) players as well as introduce the game to “noobs” so that they would be eligible to join in international competition. This is a grassroots program. Advanced PE – Soccer — This subject is designed to teach students the fundamentals of the game, as well as teaching them to respect the game and the officials, especially women; so that they could avoid being accused of sexual harassment in the future. Ang Daynosor sa Sinaunang Panahon — An often overlooked topic, this subject, to be taught in Filipino, introduces students to prehistoric creatures and the lessons learned on their extinction as well as to our preparedness in end of the world scenarios. In Filipino. Twitter: Proper Usage and Pronunciation — This subject is designed to teach students the basic premise of “tweets” as well as the proper pronunciation (Two-Wi-Ther, not Twee-TTer) of the social networking service. It also teaches students how to flood their friends and followers timeline so that their idol could be the trending topic for one day. Advanced Reading: Movie Subtitles — This course, hones the skill of students in reading subtitles in movies as well as television shows. Students who passes this subject will have no problem with movies with fast dialogue that contains subtitles. Basic Reading a prerequisite. Government Transactions and How Not To Look Stupid — This subject is designed to teach students the step-by-step procedure on most government transactions like how to apply for a new driver’s license as well as applying for a new passport. This subject has two modules, where the second module focuses on the renewal procedures of the transactions covered in the first module. According to Luistro, this is only a partial list and a list for the 2nd batch of subjects are to be announced soon, including the ones to be offered in Kindergarten. Tykes and Technology; will teach students the basic usage of gadgets like remote controls, tablets and cellphones. Another subject is an introductory for the Ang Daynosor sa Sinaunang Panahon for kindergarten students, where students are introduced to Barney and watch the show dubbed in Filipino while singing songs together with the purple dinosaur. MANILA, Philippines — After announcing the first batch of subjects last March, the Department of Education (DEPED) has revealed the second batch that will be added to a student’s curriculum under the K+12 Program. Swimming 101 – Start of a school year means start of the rainy season, as officially declared by the Philippine Atmospheric, Geophysical and Astronomical Services Administration (PAGASA). And as it is for the whole country, rains bring knee-high floods. To ensure the safety of students, they will be taught basic swimming lessons such as bubbles, floating and breathing under floodwater. Parents will feel at ease knowing that their kids are safe during typhoons, even if the local government does not suspend classes. Legalese In Everyday Conversations – Designed to teach the meaning and usage of legal terms such as culpa, malversation, gerrymandering, aliunde and etc. in everyday conversations. Students who finishes this subject would be heard talking like a top-notch lawyer and would always end their sentences/conversations would the word “you honor” or “yerhener”. Music 103 – Whitney Houston Hits – A more advanced take on music that focuses on the discography of the late singer. Students would be taught proper singing and proper mouth opening when belting out the singer’s hits. Top students from all schools would be given government assistance in acquiring a US Visa with a short term goal of appearing in The Ellen Degeneres Show and a long term goal of finally being an American Idol. Mental Alphabetical Arrangement – A subject highly lobbied by Ang Prolife after the Commission on Elections (COMELEC) declared that they plan to issue a resolution that will make the listing of party-list groups on the ballot in non-alphabetical order. The subject would hone the student’s ability to mentally arrange names in the ballot alphabetically so that even if Ang Prolife’s entry would be at the bottom, voters would be able to put them on top of their list, mentally and hopefully vote for them. Because naming it Prolife only would not be winnable. Basic Self Defense Against Younger People – Recent events show that the age of victims of bullying or attacks is not really necessarily younger as compared to their attacker. Students would be taught how to defend themselves against scratching, hair pulling, slapping, dragging, choking and the occasional child abuse case after the brawl. Helmets and Me – Students would be taught not to wear their motorcycle helmets on their elbow or arms. Everyday. Ad nauseam. Proper Pronunciation and Spelling of Atsaka – Students would be taught how to say and spell the phrase “as well as” in Filipino. Whether it is atsaka or achaka, the student would know with this common grammar mistake upon finishing the course. This subject is an offshoot of National Telecommunications Commission (NTC) and the Movie and Television Review and Classification Board’s (MTRCB) proposal to monitor the proper pronunciation of WWW in radio and television. Health Conditions in Tight Spots – Students would be taught how to act out or fake various medical conditions such as heart attack, hypoglycemia, gastroenteritis, shingles, flu and RARE hormonal disorders. These skills can be used to escape tight spots. Examples are during a robbery, forgetting to bring money on a jeepney ride, getting caught beating the red light, Senate hearings, late for meetings, failure to finish a project on time and electoral sabotage. Basic wheelchair usage would also be taught. Shashall Studies - Full course description can be found here. Basically teaches kids proper swag. Word. "Truthiness in Education" : We All Must Learn? DepEd K to 12 Modules, For Sale? DepEd K to 12: "Must Have" versus "Could Do"